SUSPEND ‘GREAT BANK HEIST’ IMPLICATED OFFICIALS! LIMPOPO Premier Stanley Mathabatha has been urged to suspend all officials implicated in the South African Reserve Bank (SARB) “The Great Bank Heist” report. This comes after the damning report exposed the alleged dishonest, corrupt and unethical conduct of several Limpopo politicians and public representatives. 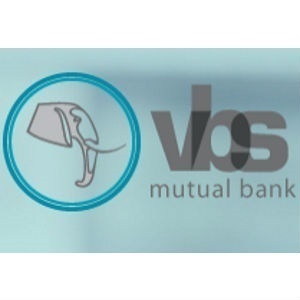 DA’s Jacques Smalle said the report clearly outlines how top ANC Limpopo officials and ANC deployees in the municipalities were at the centre of investing money in VBS Mutual Bank, even though they were aware it was against the Municipal Financial Management Act (MFMA) and Treasury regulations. Smalle said it is a sad day that instead of the failing ANC empowering the first black-owned bank to uplift historically disadvantaged people they have been at the centre of the collapse of the institution. "The “Great Bank Heist” report implicates ANC Limpopo Treasurer Danny Msiza as the alleged kingpin of the so-called “commission agent scheme” that would see politicians and officials receive commission for ensuring a municipality deposits money and keeps the money in the bank. The Deputy Chairperson of the ANC in Limpopo and the Executive Mayor for Vhembe District Municipality Florence Radzilani along with the speaker for the same municipality are also implicated. They are alleged to have requested “Christmas” for ensuring the municipality kept its money deposited with VBS and the mayor requested more money after complaining of the small amount of R300 000 they had received. He also said former Capricorn District Municipality (CDM) Mayor and current Member of the Legislature Gilbert Kganyago is also named in the report as having insisted on the depositing of R60 million regardless of the Acting Chief Financial Officer (CFO) informing him it was in contravention of the MFMA. Smalle said these senior ANC politicians implicated in the VBS report point to the corrupt, immoral, dishonest and unethical conduct of these individuals.